When I was younger, I used to hear music as one big wall of noise. I never paid any specific attention to (for example) the unique drumming in Beatles songs, the amazing bass lines from early Elvis Presley hits, or the great guitar licks of Chuck Berry tunes like Johnny B. Goode. Also, I couldn’t be moved by the intimate harmonies of The Beach Boys or the ecstatic hiccups of Little Richard, not really, because all instrumentation in a piece was to be listened to and experienced as part of a coherent whole. 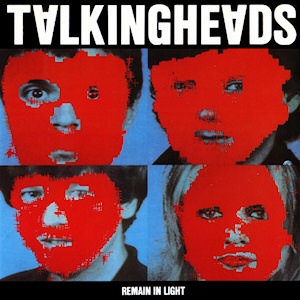 One day, a familiar Talking Heads song came on the radio: Once in a Lifetime (from 1980’s Remain in Light; linked to a video featuring clips from The Man Who Fell From Earth, since the original has been blocked on Youtube). And suddenly, the music dipped, and rolled. I became aware of the guitar playing swimming underneath the surface of David Byrne’s vocals, which revealed the layers of sound in the song: Chris Frantz’s cymbals crashing like waves; the volcanic rumbles of Tina Weymouth’s bass; Jerry Harrison’s synthesizers transmitting messages from a sentient cluster of stars in another galaxy. All these elements worked together to create a groove that forced its way past your bones and latched onto your soul, daring you not to move or sing along. For me, Once in a Lifetime gave music new dimensions. Now I listen to an artist’s catalog with a more eager ear and a deeper appreciation for the ideas and elements used in a song, as well as the way they all come together – or don’t – in a piece of music. Listen to the scattered bass line, the rhythm changes in the middle, the way the orchestral crescendo to that definitive final chord that fades out at the end of A Day in the Life by The Beatles. The cover of Sgt. 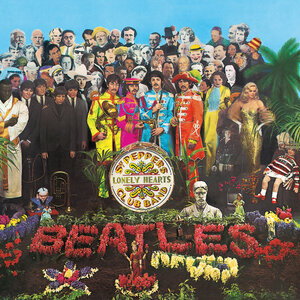 Pepper’s Lonely Hearts Club Band features approximately 60 people. How many can you identify? As the host of 20th Century Fox on KCR College Radio, my primary goal was to play tunes worthy of a wider audience. My playlists were a combination of mainstream hits, deep cuts, B-sides, dustbins, undergrounds, bloopers, interviews – anything that I could get my hands on to provide an interesting and eclectic mix of sounds, and ultimately, a listening experience that was both enjoyable and comprehensive. This meant that although the same song would rarely be played on the program twice, the artist behind it might take over next week’s entire setlist. A song from the Pulp Fiction soundtrack might spark a show inspired by the relationship between music and cinema. An examination of Pink Floyd’s early work could lead to playing Dark Side of the Moon in its entirety. If the stars aligned, a listener could discover new songs to like and re-discover old ones, something that would inspire him or her to take his or her own musical journey. The Perfect Prescription is a record that manages to achieve mystery and heartbreak through an ambiguous portrayal of its subject matter, and sheer sonic beauty. Check out Spacemen 3’s Ecstasy Symphony/Transparent Radiation (Flashback) from 1987’s The Perfect Prescription, and Madonna’s Holiday off of her 1983 self-titled debut. 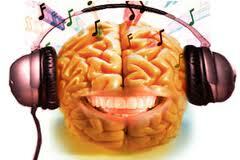 Listen closely, and a popular or favorite song may breathe with new life and dimension. Can you hear Holiday‘s bass line slithering beneath the vocals and synthesizers? Thanks to the music I had to work with and the artists who made it, the possibilities for the show were nearly endless. I hope to continue exploring them with this blog. Topics to be covered in the near future include an explosion of great music during specific years, historical events and their impact on the music industry, and a photo series inspired by notable and notorious concerts during the latter half of the 20th century. I’d love to hear any questions, concerns, or comments from you about this blog to make it a more worthwhile read. Leave a comment below or feel free to email me at Dana0484@gmail.com. Next time on The Temporal Lobe: The best in New Wave, Punk, and pure rock and roll, all from 1981. From the Hip by Section 25. Though made in 1984, this album sounds like it could have been released last week, thanks to the advent of today’s tunes inspired by music from the 1980s. Check out the entire album on Grooveshark before they change their terms of service.